The first talk was personal. Emma Cavell is Edith’s great-great-neice; she told us a little about the family background, and what Edith’s memory means to her. Alison Fell then did some demythologising, explaining the historical background to Edith Cavell’s activities; we learned about Cavell’s place in the escape network that helped over two hundred Allied soldiers escape from occupied Belgium, and we heard some of the details that got omitted from the myth. Claudia Sternberg told us about the film, and the attempts of politicians to stifle it (of which I will say more later). Darius Battiwalla, the pianist whose playing would soon contribute hugely to our enjoyment of the film talked about the art of accompaniment, and the choices he made when planning his improvisation to this particular film. So we were well prepared when the film began. This is a good example of a late British silent movie, with clear effective story-telling and minimal reliance on intertitles. Herbert Wilcox directs with a sure craftsman’s touch. Some people lazily assume silent film acting to be crude and excessive; they should watch this film. 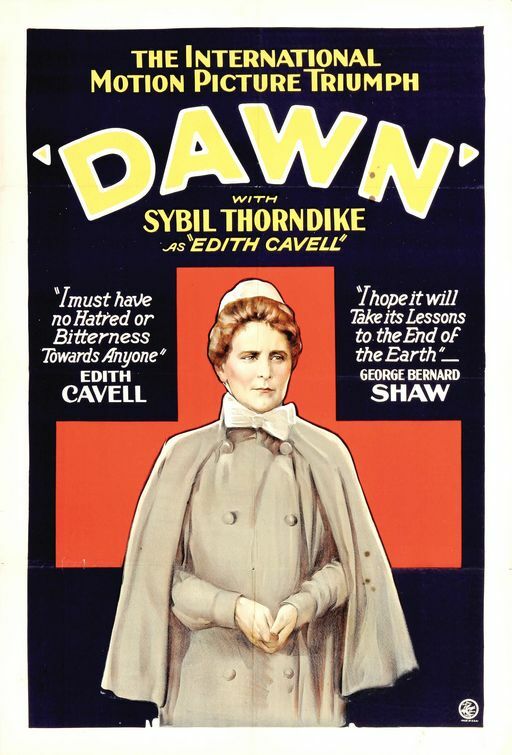 Sybil Thorndike plays Edith Cavell, and she is superb. Upright, determined, gentle, an embodiment of kindness and mercy. Her performance is a masterpiece of minimalism. When arrested and condemned she stays upright and firm as before, and only the tiniest micro-expressions indicate her fear and distress. The film parades its authenticity. Scenes are filmed in the actual Belgian street where Cavell lived. Ada Bodart, a member of Cavell’s network of helpers, played herself. 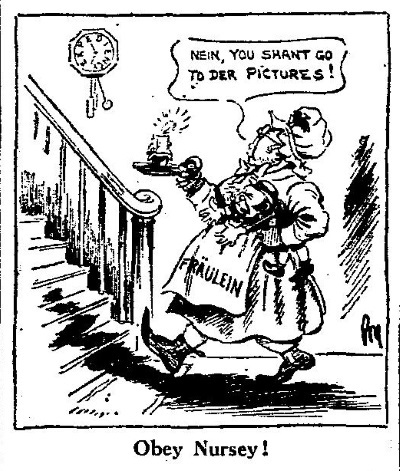 (This was not uncommon in films about the war. The Walter Summers films, such as Ypres, were packed with ex-soldiers re-enacting their wartime exploits for the camera.) The tone is sober; while there is plenty of tension in scenes where soldiers are searching the house looking for escapees, there is no playing up of emotions. In 1920 her imposing memorial was placed just north of Trafalgar Square. Sir Austen claimed that no pressure would be put upon the independent British Board of Film Censors about the film, and T. P. O’Connor, the president of the Board, agreed that he was immune to political influence. The Board did, however, consider that it was ‘inexpedient in present circumstances’ that the film should be shown, and refused a certificate. This did not prevent its being exhibited in many towns and cities, however, since, the Board had no legal force behind its rulings; it was simply an organisation set up by the cinema trade, whose recommendations were usually followed by the local committees responsible for cinemas. In this case (as in the biblical epic King of Kings, which the Board also disliked) many local authorities ignored the Board, and allowed the film to be shown. The film had its supporters in the press, too. 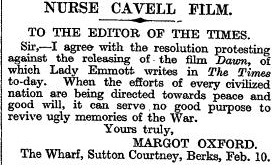 The Daily Mail, for example, came out strongly when Madame Bodart (Cavell’s helper, who appeared in the film) handed back her O.B.E. In disgust at Sir Austen’s intervention. Reginald Berkeley claimed that the film was anti-war rather than anti-German, and that indeed is what his intertitles repeatedly proclaim. 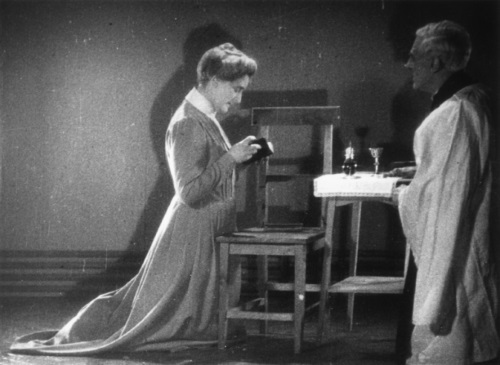 The film’s pictures, however, tell a different story. Oppression wears a pickelhaube. The Germans in the film are carefully not presented as sadists, but are just functionaries obeying orders; they are contrasted, though, with the saintly and imposing figure of Thorndike’s Edith Cavell, and so come off badly. I assume that many viewers of this film would have come away with anti-German prejudices strongly reinforced. This episode shows very clearly the late twenties official resistance to reminders of the war, except when filtered through dignified ceremonies of Remembrance, or an explicitly anti-war narrative. The understandable desire to promote international harmony meant that a lot of things had to remain unsaid. Dawn was released when Britain was deciding how to celebrate the anniversary of the Armistice. The controversy over the film reveals a nation divided over the meaning of the war. Many thanks to those at Leeds who gave us the rare chance to see this fascinating picture. This entry was written by George Simmers and posted on October 26, 2015 at 12:09 pm and filed under censorship, Film, memory, politics, popular culture with tags Daily Mail, Edith Cavell, Herbert Wilcox, Manchester Guardian, Margot Asquith, The Times. Bookmark the permalink. Follow any comments here with the RSS feed for this post. Post a comment or leave a trackback: Trackback URL. Yes. The network that Cavell belonged to gathered information (observing trains, and so on) as well as helping men escape from Belgium. This was written out of the Cavell legend, which rarely mentions the Belgian man executed at the same time that she was. The British press in 1915 represented her as entirely humanitarian, and alone. There was, therefore, justification for Cavell’s being shot as a spy. What the German’s seem not to hav realised is how this would play in the wider world. The Cavell story, coming a little after the sinking of the Lusitania, had a considerable effect on American opinion. The film, of course, presents the legend, in all its idealism, so the Germans’ objections about the film’s factual inaccuracy had merit. For once, though, I’m on the side of the Daily Mail. I don’t like politicians banning films at the behest of foreign governments. You know things have gone seriously awry when the Daily Mail is the voice of reason. Thank you for this short film. It is very helpful to understand this. Your blog is full of information. The way you describe this topic DAWN is very actually amazing.